The RS review said: “Bassist Jon Ellis and drummer Mark Herrin bring empathetic thunder: the lightning is everywhere” (stolen from CD Universe, the RS review is no longer online). As you might imagine, I’m generally a fan of emphatic thunder and everywhere lightning in my music, so I hopped onto Amazon and ordered the CD in mid-2004. I put the headphones on for a first listen, which is usually the best way to hear a new band. 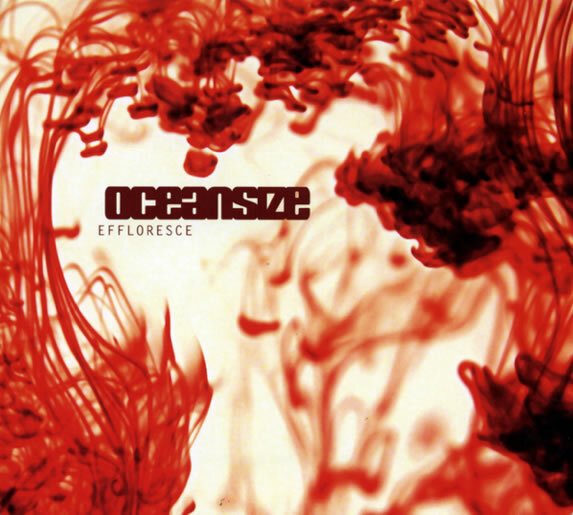 I can say unequivocally that Oceansize has been my favorite band of the last decade. Effloresce is still my favorite album of the lads, but Everyone Into Position and Frames are right up there. My actual favorite Oceansize track might be “The Dirty Sweet Smell of the Summer“, a b-side on the “Heaven Alive” single. Also, “No Tomorrow“, “Trail of Fire“, and “Unfamiliar” (tell me that’s not killer live rock) are stellar tracks among a solid overall catalog. Of the 12,000 tracks I have in my iTunes library, 322 are rated five stars. 20 of those tracks are Oceansize tracks. Zep have 37, Metallica 17, Floyd 22. Sadly, Oceansize are no longer with us, announcing their breakup with a simple message posted on their website. I had never heard a band quite like them, and I have never found one since, despite numerous attempts on Pandora, iTunes (“Other space rock guitar weirdos who like Oceansize bought…”), and scouring obscure rock forums. The closest I have found is Amplifier, who are an excellent band in their own right, but they do not fill the void created by the loss of the ‘size. If there is anyone out there who has found a band that sounds a bit like Oceansize, please let me know – this is one of my all-time top ten bands and I need more.